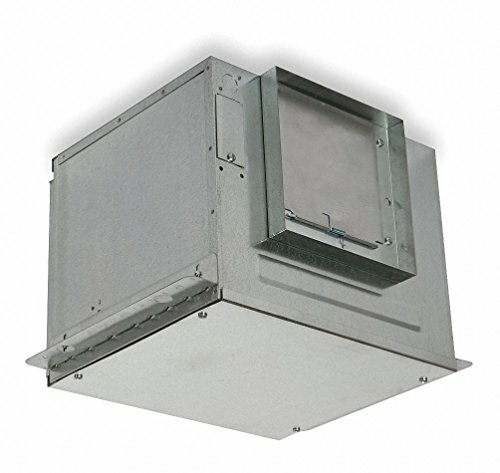 This large-capacity, insulated unit provides easy, quiet, multiple-area ventilation in commercial, institutional, or industrial settings such as utility rooms and bathrooms. It is easy to wire with an external electrical access cover. The spring-loaded backdraft damper eliminates vibration. The exhaust outlet rotates from horizontal to vertical discharge. The motor is permanently lubricated and includes overload protection and a wiring harness that can act as a disconnect. Adjustable rotary speed control is available separately.